One of the most unconventional musicals ever to become an international sensation is coming to the Ephrata Performing Arts Center (EPAC) this December. The Sharadin Bigler Theatre is located less than a mile from the Historic Smithton Inn, making a stay at the Smithton & a show at EPAC a great B&B and theater winter getaway! Cats will transport you to a world unlike that of any other musical. EPAC is able to present this show in the kind of intimate, environmental setting for which it was intended, bringing you close to this mystical, delightful and oddly human family of cats. 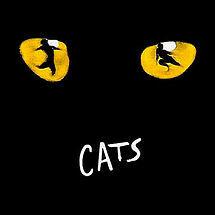 Soaring with the rich melodies of Andrew Lloyd Webber and filled with dance, Cats is a unique theatrical experience, a magical fantasy that could only exist in the theatre, bringing the EPAC season to a fitting and celebratory end. Recommended for all ages.